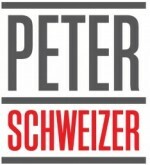 Peter Schweizer, who delved into the Clinton Foundation’s dealings in 2016’s “Clinton Cash,” has turned his sights to the money-making machinations of DC’s political elite. His new book, “Secret Empires: How the American Political Class Hides Corruption and Enriches Family and Friends,” — due out Tuesday from Harper Collins — exposes how politicians engage in “corruption by proxy” by exploiting family and business ties to enrich themselves and their relatives. Here, The Post’s Larry Getlen details the book’s revelations on Senate Majority Leader Mitch McConnell and Transportation Secretary Elaine Chao, ex-Commerce Secretary Penny Pritzker and others.